As has been mentioned elsewhere in the forum, in the pre 2001 system of vehicle registration plates, Coventry issued numbers which can be identified by the six codes DU, HP, KV, RW, VC and WK. The original licensing act was passed in 1903 and from January 1st, 1904, all vehicles in the UK had to be registered with the local council and carry a number plate at the front and rear. Councils were allocated a one or two letter code initially in the range A to Z then AA to FP. The code allocated to Coventry was DU and thus number plates began to be issued in the range DU 1 to DU 9999. As councils used up all numbers for their code, they were issued a further free code. DU lasted for 15 years, then Coventry was issued with the code HP in 1919, then RW in 1924, WK in 1926, VC in 1929 and KV in 1931. Eventually when there were no more two letter codes left, a prefix letter was added to each code, eg. Coventry started at ADU 1 and numbers were then only used up to 999. This was follwed by the AHP series and so on until AKV 999 then BDU 1 etc. The two letter codes however were still issued in the same non-alphabetical order. The prefix letters I, O, Q and Z were not used, so this system lasted until YKV 999 was issued in 1959. The whole series was then reversed, starting at 1 DU and so on. This however only lasted until 1963, the CWK series. At this point the familiar year suffix system was adopted nationally. A list of approximate dates for each registration series can be found on the internet at www.oldclassiccar.co.uk. Amazingly, the first Coventry car number DU 1 is still taxed according to the DVLA site, which claims it's a 1921 green Daimler with a 236cc petrol engine. The 1921 date though seems to have been used for anything already registered when a new licensing system began in that year. 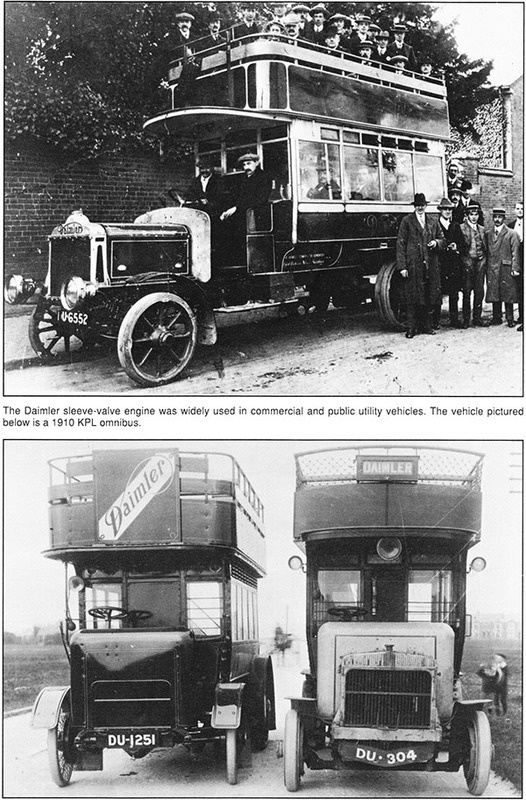 I also have doubts that Daimler produced any vehicle with a 236cc engine. Does anyone have information on DU 1, its whereabouts or even a picture? There are several other early numbers still taxed. DU 13 is a 1921 (or earlier) MMC tractor; DU 14 is a 1922 (really 1903) Vinot sports car in yellow; DU 16 is a 1915 Triumph Junior motorcycle; and DU 18 is a 1921 (actually 1904) Speedwell which the DVLA says has a 5cc engine! Hello and welcome to the forum Thanks for a great post, very interesting! Thanks for the interesting post, it will help me a lot with the old photographs that I find. I found this link that may be of interest. Regarding DU 1, could this link be is use? The design of that car is much too advanced to be a 1903 model. I would guess at 1914ish, as per the last image on this page. I'm coming to the conclusion that many of these early registration numbers were re-used, I suspect the concept of cherished numbers is not a recent innovation. Without the radiator grille, I can't guess what this is, but the BDU series dates from 1935 or 1936. I've now transcribed most of the information on the card index of cancelled registrations, up to DU 100. With the permission of the History Centre, the list has been added to the Members' Articles section of this website. The omitted items are the engine details and exact addresses. If for any reason you need these, you'll have to arrange to examine the original cards. Thanks mcsporran. Just had a look at your efforts, really impressive, you can have a Gold Star for that I can't study an old photo now without checking for a registration plate!